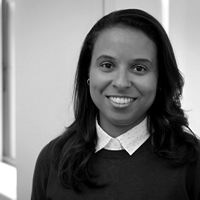 As President of Global Synch & Brand Partnerships at Kobalt Music, Jeannette Perez oversees a team of over 50 international creative synch and brand experts with decades of experience based in Los Angeles, New York, Miami, London, Berlin, Sydney and Sweden, among other markets. Under Perez, Kobalt's team closed seven Super Bowl LII synchs in 2018, hundreds of national campaigns with brands including Verizon, Acura, Zillow, T-Mobile and Toyota, including 30 with Apple alone, and thousands of film and television placements across the globe. This has resulted in Kobalt's team consistently increasing global synch revenue by double digits, which Perez has managed each year since joining Kobalt in 2014. Perez has been recognized in Billboard’s 40 Under 40: Top Young Power Players (2015), International Power Players (2017) and Branding Power Players (2018) and served on the Music Jury for the 2018 Cannes Lions awards.